Last Updated: February 1, 2019 By Katie 2 Comments -- Paid Promotion. Disclosure policy here. So you’re preparing for a baby? While it’s impossible to totally be prepared to bring a new human home, there are a LOT of things you can do to prepare. 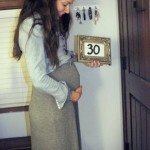 Having 2 babies (with a 3rd on the way as I’m writing this!) 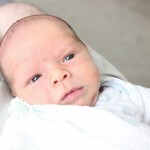 I think I have a good idea of what needs to be on a newborn checklist. I also crowd-sourced on my Instagram to get answers from hundreds of moms! PRINT THIS CHECKLIST and use the blog post as a guide to help you easily find those items online! Basic onesies – because they’re going to get dirty. And sometimes, you’ll just want to throw them away instead of scrubbing them clean- and that’s okay. 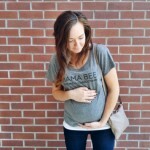 Shirts – these super soft and organic ones from Burt’s Bees are so good! Pants – nothing cuter than tiny baby pants! Elastic waistbands are the best here- as you’ll be pulling them off and on A LOT. 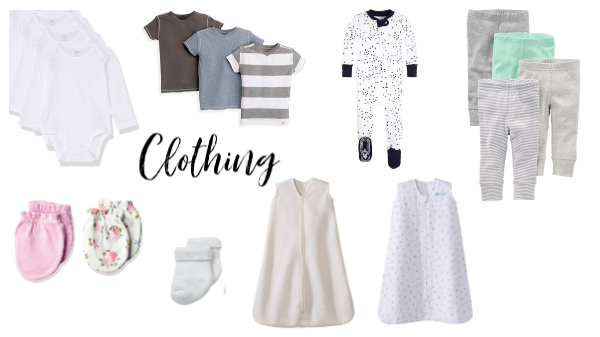 Footed sleepers – have fun and pick out some cute ones! Grab at least four so you’re not doing laundry twice a day! Socks – get a few, because these things disappear all the time with no explanation! No-scratch mittens – these are a must for babies as they always seem to scratch themselves with their own fingernails no matter how diligent you are at clipping them. Sleep sack – we’ve used Halo brand sleep sacks for both kids and love them! Get a fleece one for colder days and a muslin one for warmer ones! 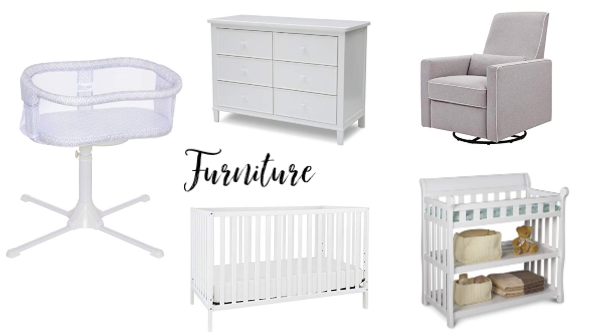 Crib – this one for just over $100 gets VERY high reviews and is a perfect, classic look! Don’t forget a breathable mattress and protector! Changing table – remember, this will move with baby from your room to his own someday, so this nice, small one with ample storage is ideal! 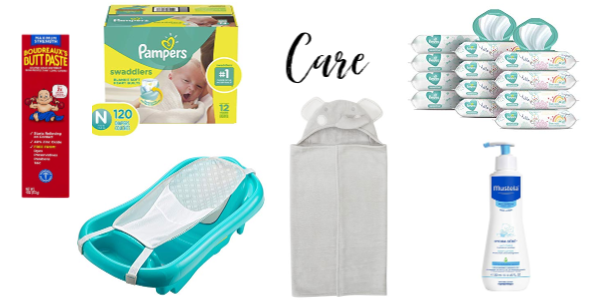 Don’t forget the changing pad, covers and liners! Dresser – because you’re going to have waaaay more clothes than you think! This one is great because if you’re short on space, it’s height allows it to double as a changing table. Again, don’t forget the changing pad, covers and liners! Rocker/Glider – this one looks comfortable enough to rock your baby and yourself to sleep in! Really high reviews on this one and you’ll want it to be good, as you’ll be spending quite a bit of time there! A more budget-friendly, best-selling option here. Bassinet – we have and love the Halo Bassinest because of many reasons, but mostly for the folding down rail that allows easy baby retrieval right from bed. For a more budget-friendly (and still GOOD) option, go with this one. 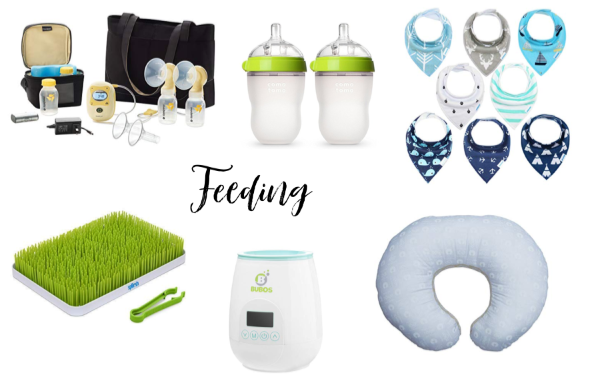 Breast Pump – A must if you’re breastfeeding! Keep that supply up and stock up on that liquid gold. One of the highest-rated pumps is this Medela breast pump. I’ve also heard amazing things about this pump, to use while baby feeds on the other side, to catch any excess. Bibs – you’re just going to need drool bibs for a while here. They’re nice and small, which is good since you’ll be going through a lot of them. This unisex set is so cute! Nursing pillow – The Boppy is the clear leader in this category. We used it multiple times a day for the duration of breast & bottle feeding both kids. It’s THE BEST thing! Don’t forget a cover. Bottles – we LOVE the Comotomo bottles. Soft and made from silicon, these are designed to closely mimic breastfeeding and reduce bottle rejection. We found this to be true in our case! They’re not the cheapest bottles out there, but they worked for us and that’s all I need to recommend them to you! Bottle warmer – do yourself a favor and get one (like this one) with a timer and an auto-shutoff feature. Burn one bottle of milk and you’ll wish you did! Bottle drying rack – you’re going to want to keep your bottles separate from your own dishes and this is the way to do it! We have this one and a rack like this one. We use both and I’d recommend either one, or both if you have the space! Diaper rash cream – you’re unfortunately going to need this. 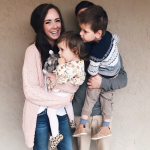 We went through a very different amount with each of our kids, so start with a smaller package and go from there. This is one of the highest rated creams and worked great for us! Diapers – It goes without saying that you’re going to need these. There’s a reason why hospitals pretty much all use Pampers- they’re SO SOFT! Grab some size 1 diapers too, as your little one will grow fast and you want to be prepared! If you’re going to be using cloth diapers, these are SO cute, or try these basic, more budget friendly ones. Wipes – you’re going to use more of these than anything. Not just for wiping butts either! They’re great for wiping messy faces, fingers and just about everything! Get unscented, hypoallergenic ones here. Water wipes are also a great choice! Tub – you can’t go wrong with this one. It has a hammock and headrest attachment for infants that can be removed as your baby grows! This cute whale one has the same feature! We used one for Sam and the other for Sophie. This one is a bit more expensive, but VERY popular. Bath towel – pick your favorite animal to wrap your baby up in- we have the elephant and love it! We also have this brand for both kids and love! Or get one of these more simple, organic bamboo ones. Baby lotion – Mustela is our absolute favorite lotion and scent! For a more budget friendly option, you can’t go wrong with this one either. Teether – we had Sophie the Giraffe and this other Sophie teether for both kids and they loved them! We also have this one, which is good for getting the back teeth. It also rattles! Activity mat – You might not be laying your baby down on the mat right away, but the little toys are removable and can entertain your newborn without having to lay down! Then, when he’s older, you can buy yourself valuable minutes of peace when you lay your baby down and he can play with all of the hanging toys, mirror, etc. This one is also very popular and gets a whopping 4.8 out of 5 stars! For a cleaner look that will go well with any aesthetic, I love this one! Rattle – this 9-piece set is perfect! These things tend to get lost, and kids tend to get bored of them after a while, so having this many is ideal! Love this wooden rattle too! Stuffed animal – A soft stuffy is a must, and this one is super adorable and extra soft! This is a great brand too! Books – you’ll want a mix of soft (for baby to explore) and hard (for you to read to baby) books. Some of our favorites are: Goodnight Moon, Baby: Touch & Feel Animals, The Wonderful Things You Will Be and Brown Bear, Brown Bear, What Do You See? Musical toy – the Fisher Price radio is just about the most popular baby item on Amazon with over 10,000 reviews. This one is also a favorite of ours, as is this one. Car seat – you literally can’t take your baby home without it! Get one by 32 weeks! If you want to bypass the infant car seat, you can opt for a convertible one, which will go from 5-65 pounds! Don’t forget a cover! Stroller – you’ll want a couple of these if you can swing it. Maybe one jogger, one everyday, higher quality one and even a small/travel one too. Diaper bag – JuJuBe is one of my favorite brands. I have the Legacy BFF and love it! For a more budget friendly option, this extremely highly rated best-seller on Amazon is just $40! 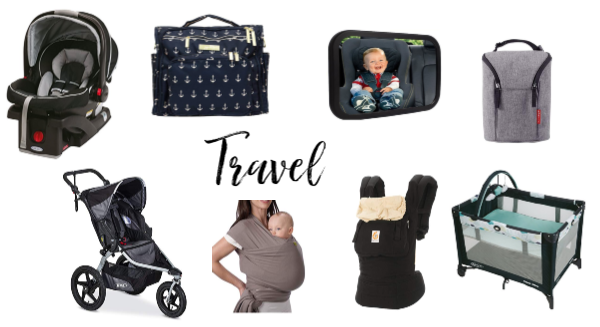 Travel crib – if you get your baby used to sleeping in this every now and then- those overnight trips will be so much easier. 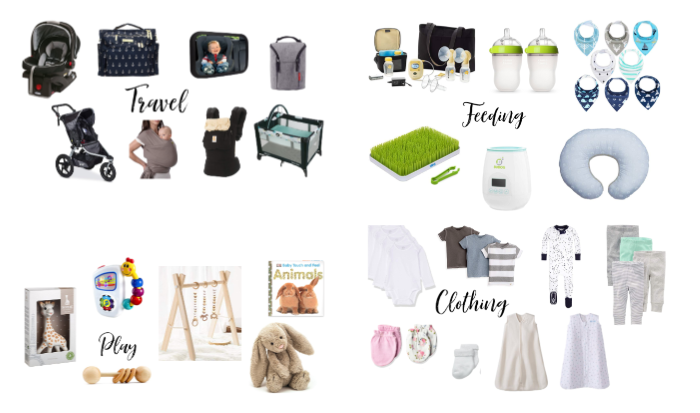 We love the Graco Pack N Play– and as you’ll see, there are a few different kinds. Baby carrier – there’s a LOT to look at when you search baby carriers online. Let me tell you- as a blogger, I have been sent and have tried about half a dozen different ones. Ergo is THE BEST brand- and the Original carrier is the best! I recommend a lightweight wrap, too- and you will get a LOT of use out of it! Car mirror – you want baby to be able to see themselves, and you can sneak a peek through the rear-view mirror. There’s not too much to these, so grab this highly rated one and you’ll be fine! Bottle insulator – again, not much to these- but you’ll want one. This single bottle insulator will be fine for most of you. There’s also this from Tommee Tippee, which allows you to actually warm (not just keep one warm) a bottle on the go! 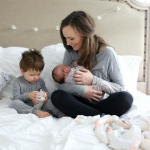 Swaddle blankets – we love the aden + anais cotton muslin swaddles! They are so soft, slightly stretchy and adorable! Another highly rated option are these. Lovey – whatever you choose – just make sure you get TWO! You don’t want to lose one and have a little one who can’t sleep without it! These ones are adorable, soft and have many options. Pacifiers – These are the ones we got in the hospital and both of our kids loved them! A lot of people love the WubbaNub, which is a pacifier with a little stuffed animal at the end so the baby has something to hold on to. DockATot – Oh, you want your baby to sleep? Get this thing. Life. Saver. Baby monitor – We highly recommend this wifi camera as opposed to an expensive baby monitor. We view baby on our phone through an app! For a constant audio monitoring, this under $20 one has worked perfectly for us! If you’re stuck on an actual video baby monitor, this one is highly reviewed and modestly priced. White noise machine – these have been amazing for our kids! We use white noise machines from birth until… possibly forever? This small one is the best! We leave it plugged in, but it holds a charge too (up to 16 hours!) so if your power goes out, it keeps running. You can also travel with it very easily, as it’s not much bigger than tennis ball! Bouncer/Rocker/Swing – you’re going to want at least one of these glorious things! Give yourself a few minutes of peace by placing your baby in one of these. I asked on my Instagram, and one of the top favorite items of mamas is this Rock N Play! There are also swings like this one, which we used and LOVED with Sam. For a higher budget, the Mamaroo is amazing (and one of my personal must-haves)! Diaper pail and liners – the leader here is the Diaper Genie. We used it and loved it. You may think you don’t need this like we did, but after running a diaper to the outside trash 8-12 times a day, you get tired. If you have two stories, there’s no question you need this from day one! Don’t forget refills too! Burp cloths – yes, I linked cloth diapers here on purpose. We (and a million other parents) use these as burp cloths and they work SO well! They’re great for bigger messes, as they’re designed to soak up potty happenings. For cuter options (which you’ll want as well), these for girls or these for boys are soft organic and so darling! Fitted crib sheets – there are a LOT of options here. Just make sure the one you get fits tightly over your mattress. Some popular ones are this one and these cute, hypoallergenic ones. Headbands & bows – don’t forget these if you know you’re having a girl. Nothing cuter than little tiny girls with bows! This was our very favorite brand for Sophie, that still fit her today (and she’s 3! )- they are super stretchy and never leave a mark! These are really cute too! Be sure to print the checklist here for easy reference! Hey Katie, I have been researching soo many baby monitors and the end result is even the most expensive ones aren’t great.. So when I read about your suggestion for the wifi camera, I was very excited! There were a few mixed reviews. From your personal experience have you had any setup issues or other problems that have occured? And how is it between both Sam & Sophies room? When you buy two cameras do you just connect them to your one app? Sorry so many questions haha TIA! I actually recommend the Ergo Adapt or the Omni 360 over the original Ergo these days, especially with a newborn. Not needing the infant insert makes using a soft-sided carrier with a newborn (or really, any infant under 4 months) so much easier. Tula has their own version of each as well (note, Tula is now owned by Ergo but still retains its own brand name). I still love my original Ergo but until about 6 months the adapt was the one I reached for more often.